A large number of gamers, well, people in general, have an overwhelming fascination with dinosaurs. Myths of the ferocious T-Rex and clunky Triceratops populate everything from children’s books to the silver screen and have also made a solid imprint in the game industry. We saw this most recently with ARK: Survival Evolved, an MMORPG where players build shelters and weapons, and crusade against large prehistoric beasts to assert their dominance in a massive virtual vista. 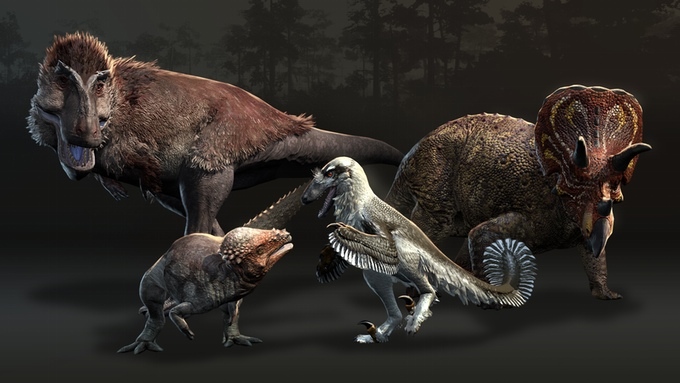 You’ll have the opportunity to play as multiple species of dinosaurs; engaging in numerous “survival challenges” while also traipsing around the vast open world and drawing upon your skills and instincts to survive. The game has already been funded in a matter of days. You can track Saurian’s progress in our Campaign Calendar.